The Compass 40 adds the mobility of a backpack to a sleek, semi-rigid, overhead-friendly carry-on design, making it ideal for active commuting, weekend getaways, and business travel. A padded laptop sleeve and mesh organizer pocket keep work and play from intermingling, while the internal expanding divider panel keeps dirty clothes, gym gear or bike shoes from contaminating your meeting attire. A quick access accessory pocket provides easy, on the go organization. DEDICATED LAPTOP COMPARTMENT: External-access padded 15-inch laptop compartment with tablet sleeve. ORGANIZATION OPTIONS: Top accessory pocket with key clip and internal zippered mesh security pocket. Zippered mesh organizer pocket inside main compartment. Single main compartment with U-zip backpanel access. Separate expanding bottom compartment. GRAB HANDLES & PADDED SHOULDER STRAPS: Multiple grab handles for overhead or under seat convenience. 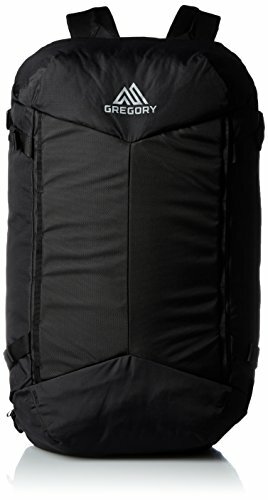 Padded backpack straps with padded backpanel. ATTENTION TO DETAIL: Padded front panel. Side compression straps. Dual daisy chains. Reflective logo. IDEAL USES: Travel, Business Travel, Commuting. WEIGHT: 2.0lbs. DIMENSIONS: 23.25" x 13.5" x 9.75"
If you have any questions about this product by Gregory, contact us by completing and submitting the form below. If you are looking for a specif part number, please include it with your message.